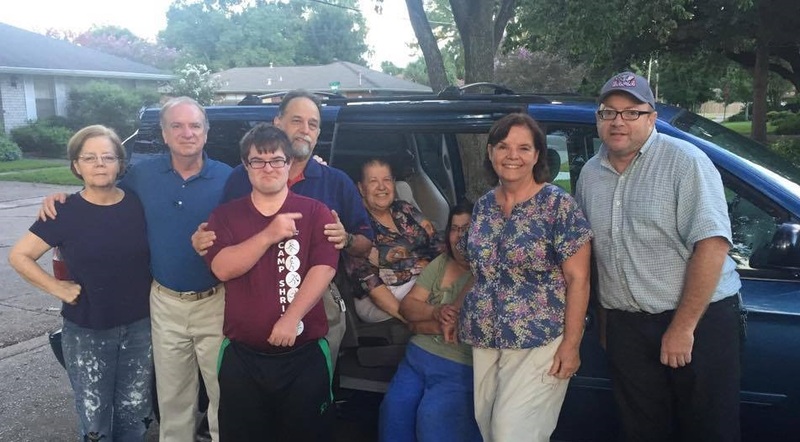 Rose and Bill Denton (Mobile) planned to bring her mother, Beverly, from her home in the small town of St. Amant, LA to their home in Mobile, AL. 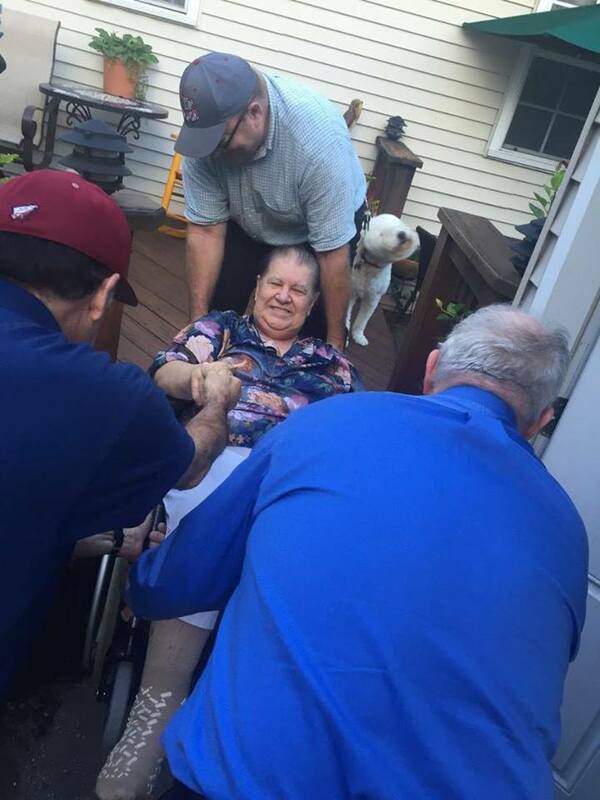 Before they could do that, the great flood of 2016 had flooded Beverly's house as well as Rose's sister's house and the houses or yards of most of their other family members in town. While Bill and Rose were on their way to St. Amant, their car broke down. They were stranded for two hours before a state police car came and assisted them to get their car towed. They ended up spending the night in the last room at the small hotel where Rose's sister was staying. Rose had been praying throughout the ordeal and had the idea to call the New Orleans branch to see if they could get a ride home. 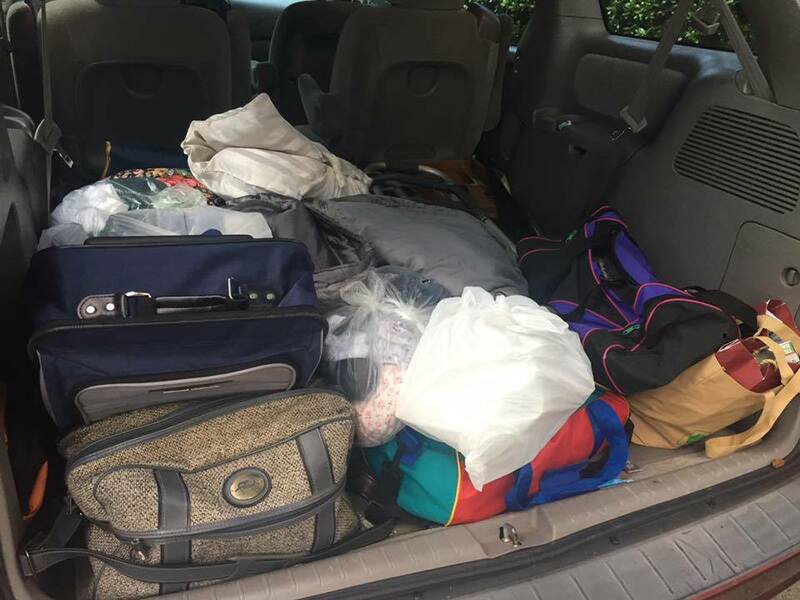 Liz was available to drive the two-hour round-trip drive to pick them up and bring them back to Metairie, where most of the New Orleans branch lives. 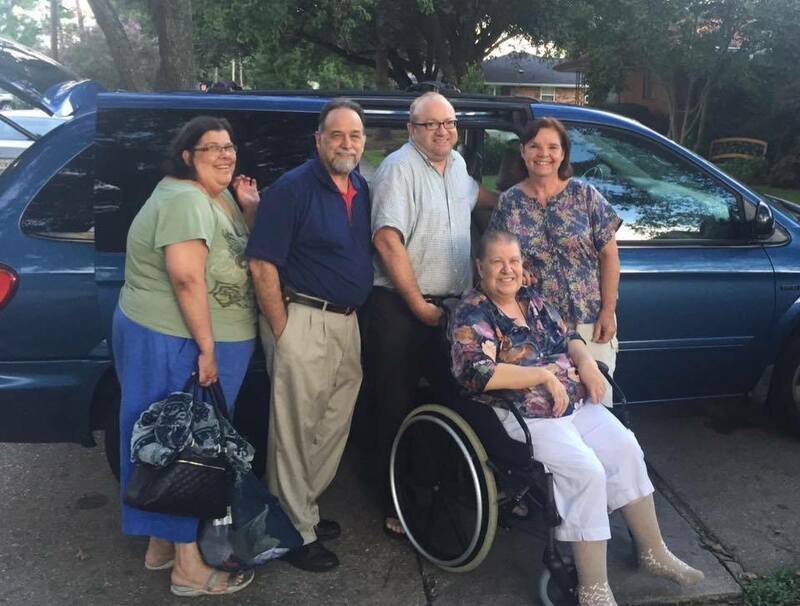 While they cooled off and ate some red beans and rice at the Slatterys' house, Steve Gaudet (Mobile) drove to New Orleans to pick them up and bring them the rest of the way home.